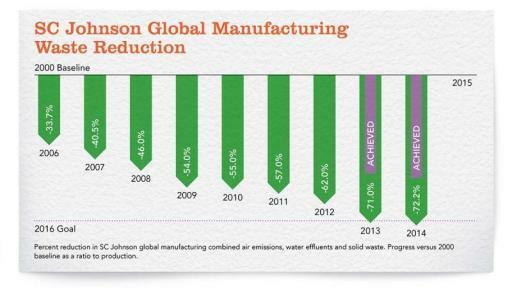 SC Johnson today released its 2015 sustainability report, marking the company’s 24th year of reporting on its environmental and social efforts. 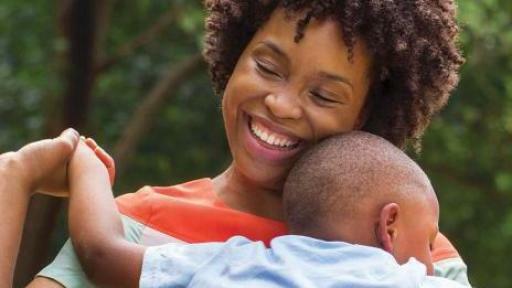 Beyond sharing results from SC Johnson’s latest five-year sustainability strategy, the report shows how being a family company inspires the company’s decisions and actions. Research shows that trust in business has deteriorated, with less than half of people in many countries reporting that they trust companies to do what’s right. 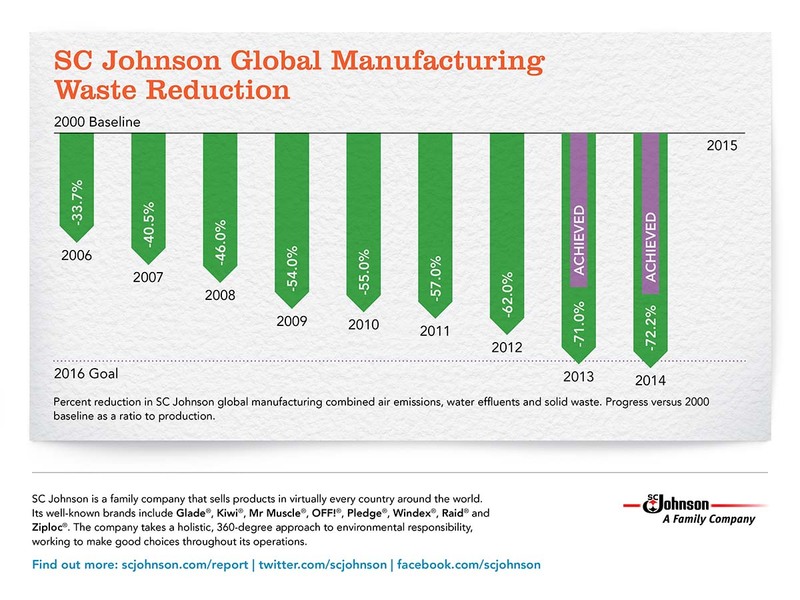 * In this landscape, SC Johnson aims to show how it stands apart. 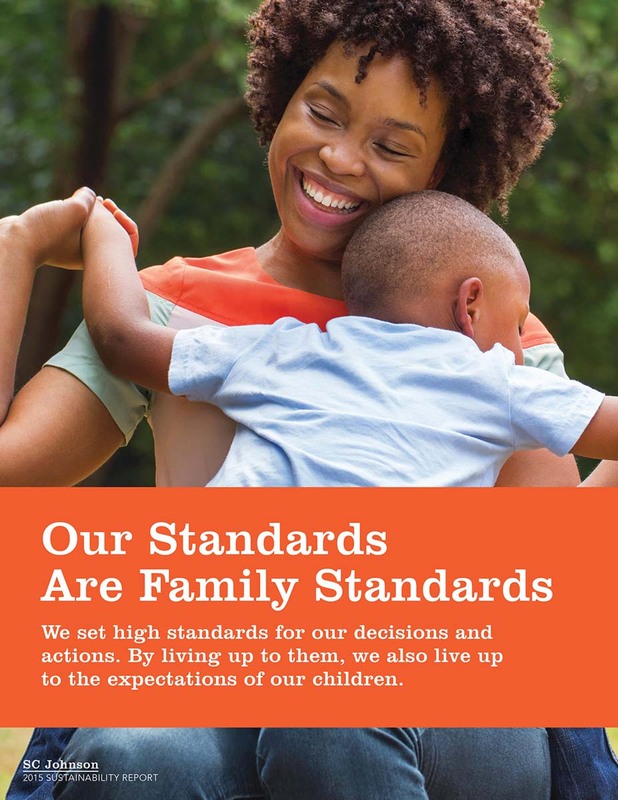 The company’s latest advertising campaign shares how as a private, family-led organization, SC Johnson works to hold itself to a higher standard. This unique perspective is further spotlighted in the 2015 sustainability report, which shares how the company’s standards, actions, connections and legacies all demonstrate its unique family company perspective. The report also continues SC Johnson’s commitment to transparency about how it makes decisions and the results of these choices. 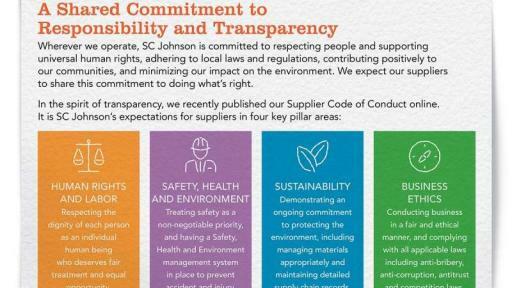 An eight-page section discusses the company’s standards, the SC Johnson Greenlist™ process, and SC Johnson’s supply chain and sourcing commitments. 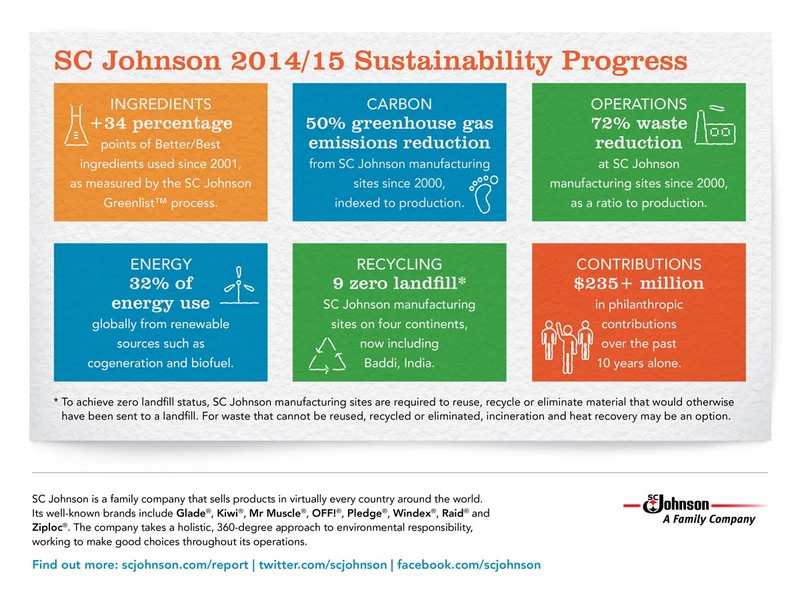 SC Johnson’s 2015 sustainability report is online now at scjohnson.com/report. Printed copies will be available, though the company is limiting its print run to minimize paper waste. For a print copy, please call 262.260.2440. Additionally, the report will be available soon online in Chinese, French, Italian, Spanish and Portuguese. 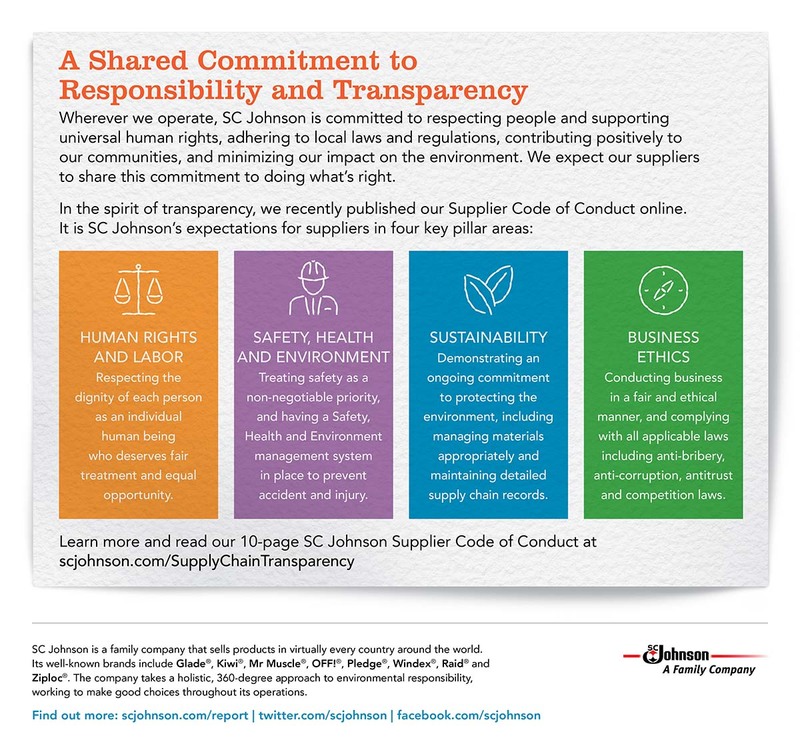 For more information about SC Johnson and its sustainability efforts, visit the company on Facebook, Twitter or at www.SCJohnson.com. 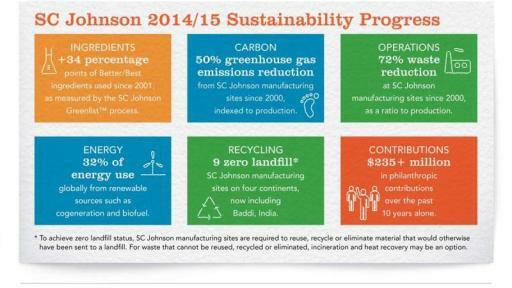 ** To achieve zero landfill status, SC Johnson manufacturing sites are required to reuse, recycle or eliminate material that would otherwise have been sent to a landfill. For waste that cannot be reused, recycled or eliminated, incineration and heat recovery may be an option.